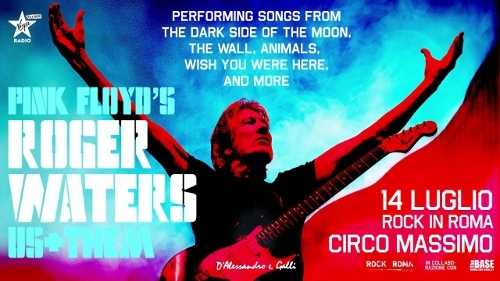 This entry was posted in 2018 Us + Them European Tour, Roger Waters, Soundboard by Doc. Bookmark the permalink. Regarding your “rant”: Well said and we are so happy to have you as the only source we need for quality Floyd entertainment. And for last, something I’ve been thinking about after the Us+Them shows I saw last year. Dave K is doing a stellar work but for the most part he has, I think, more and more after touring all these years with RW learned to mimic DG:s solo part almost to perfection. Do we want that? Do we want someone who tries to play these parts note for note when we still know that it is not Gilmour there on stage? In my opinion, it is way better when he keeps the “essence” of the solos but allows himself to add som Kilminster colour to them. I might very well the last one to this party, but there they are, my five cents. Thanks for another great set! Was the Shine On/Set The Controls Twitter question to help you choose the intro song? Also, have to say that as much as I like Comfortably Numb, it would be refreshing to hear something else as a closer from Rog and Dave! I know Nick will do me right in Chicago in April. This is a fantastic listen! Thanks again Doc. Your work is appreciated. Really looking forward to listening to this. Just want to say, Doc, that it’s been a pleasure listening to you over the years. I was an avid listener a decade ago in college and only rediscovered you about a year ago. Thanks for reminding me what I was missing. All the best from Ireland. Nice job doc-happy new year !